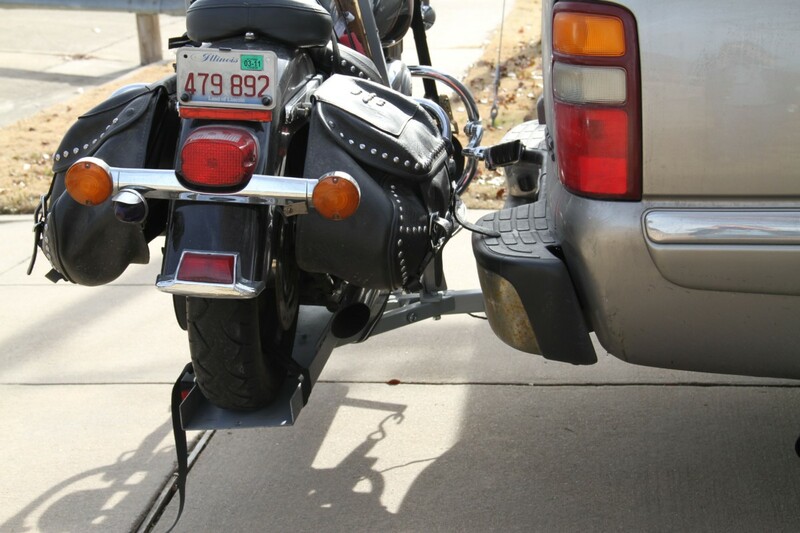 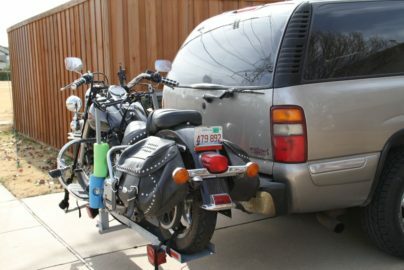 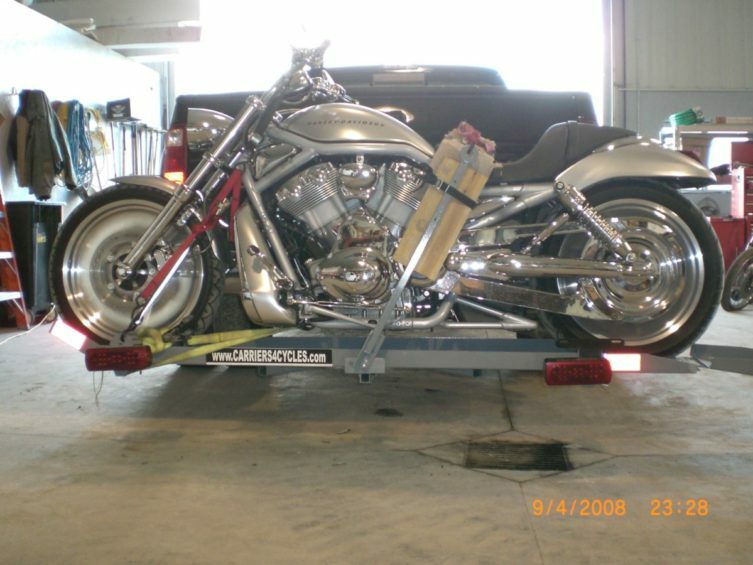 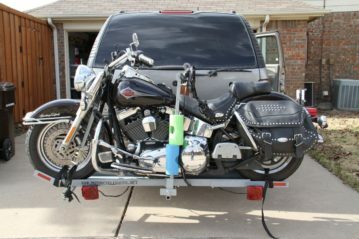 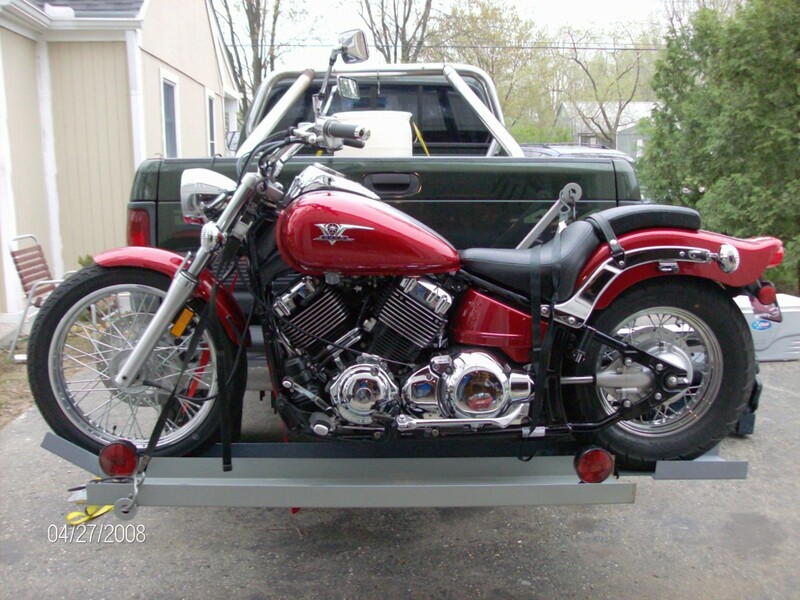 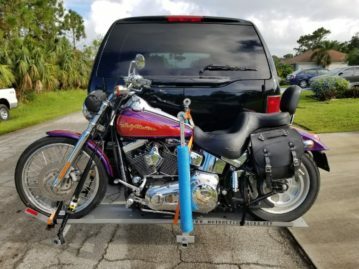 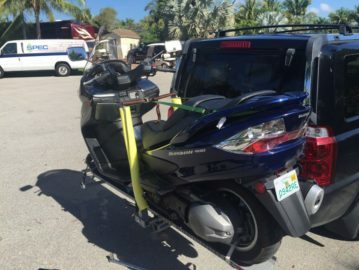 If your car, truck, or van has a hitch you might be able to transport your Motorcycle easily and economically! 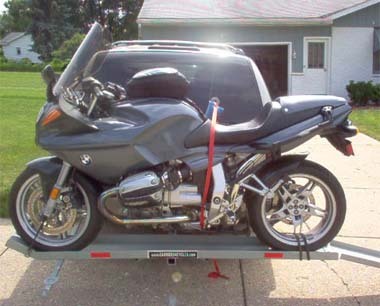 Our carriers are designed to give you the biggest bang for the buck! 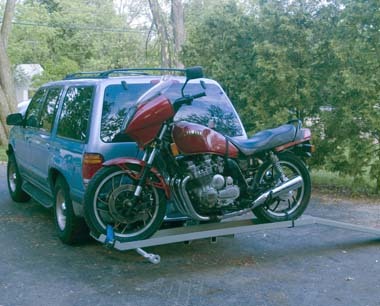 Also, fuel efficiency is up to 32% better than towing a trailer! For road bikes up to 900 lbs. 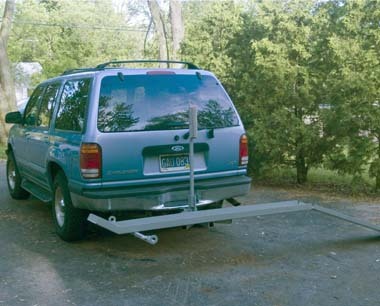 Class 4 hitch with reinforcement side supports. 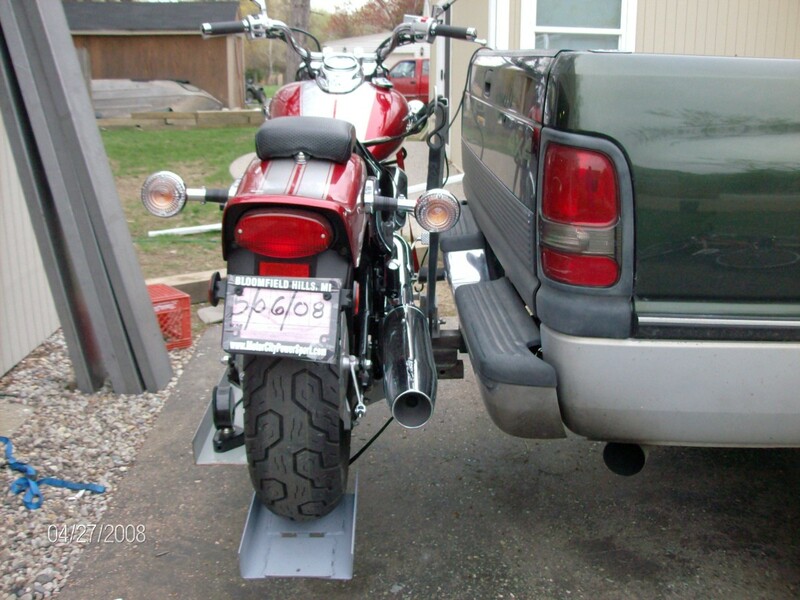 Distance from hitch pin to center of tray is 15 and 19″, select bolt pattern at assembly. 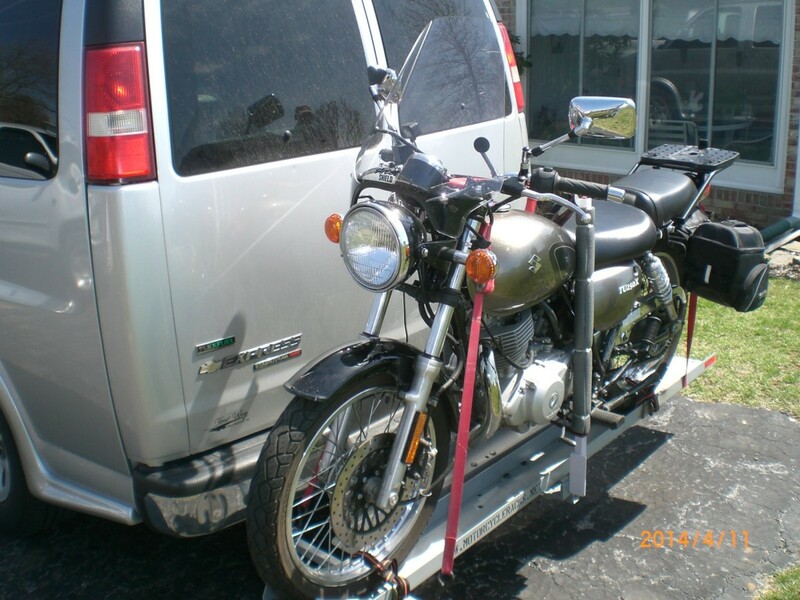 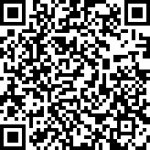 Shipped or local pickup, SEE PRICE LIST AND STORE FOR MORE DETAILS AND OTHER MODELS AVAIL.